NSW Roads and Freight Minister Duncan Gay last week announced that tenders have been called for concept design and environmental impact assessment for the $280 million Newcastle Inner City Bypass from Rankin Park to Jesmond. The fifth and final stage of the Newcastle Inner City Bypass, the Rankin Park to Jesmond section involves a 3.4 kilometre four-lane divided road, including a grade-separated interchange at the northern connection with the existing Newcastle Road to Shortland section of the bypass. There is also potential for a connection to the rear of John Hunter Hospital. 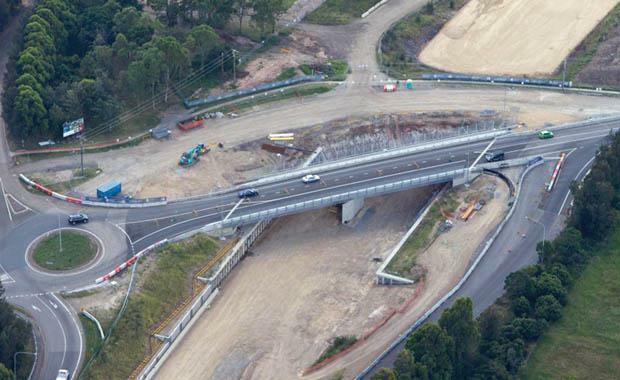 The project will also include a grade-separated interchange with Lookout Road and McCaffrey Drive at the southern connection, as well as bridge structures along the route to provide for drainage, fauna movements and bushwalker access. "Under this NSW Government the completion of the Newcastle Inner City Bypass project is a reality and the call for tenders to develop the concept design is a huge milestone," Mr Gay told the Urban Analyst. "After the EIS is displayed and community feedback is sought we could see planning approval as early as next year," the Minister said, adding that construction in on track to begin in 2017. "We are investing $280 million towards the fifth and final stage of the bypass between Rankin Park and Jesmond to improve traffic flow on the surrounding road network, including on Lookout Road, Croudace Street and Newcastle Road. "The 3.4 kilometre Rankin Park to Jesmond stage of the Newcastle Inner City Bypass follows the completion of the Shortland to Sandgate section in January this year; the West Charlestown Bypass in 2003; the Jesmond to Shortland section in 1993; and the Rankin Park to Kotara section in 1983. Detailed design is expected to be complete by mid 2015, after which Roads and Maritime Services (RMS) will invite tenders to deliver the project.